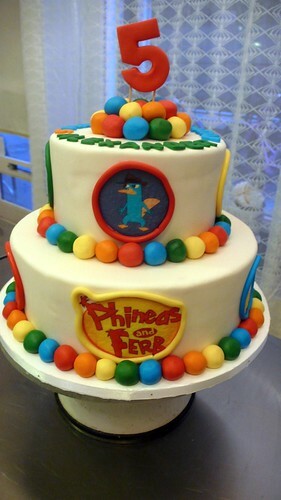 Phineas and Ferb Cake, a photo by CAKE Amsterdam - Cakes by ZOBOT on Flickr. The Birthday Boy picked out this cake from a photo him and his mother found online... and I did my best to replicate it! 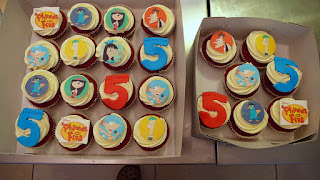 FLAVOR : top was vanilla with vanilla buttercream, jam and raspberries, bottom later was Chocolate Cake with OREO cookie buttercream. 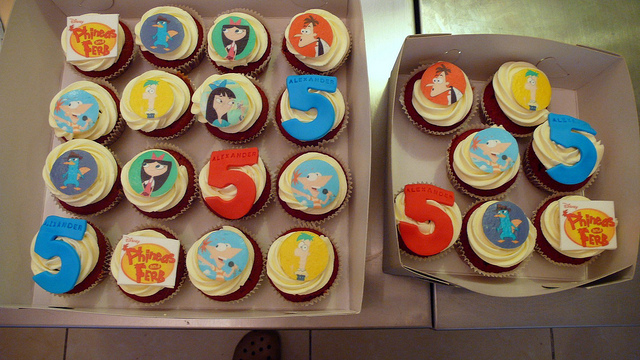 They also ordered Red Velvet Cupcakes with cream cheese frosting for school!